San Francisco, CA, November 6, 2013—Most science fiction authors weave their stories with words. Authors Peter Reid and Tim Goddard use LEGO®. In the full-color, gorgeous LEGO Space (No Starch Press, November 2013, 216 pp., 4C, $24.95, ISBN 9781593275211), Reid and Goddard use photographs of intricate LEGO models to tell a tale of exploration and intrigue that's sure to inspire science fiction fans and LEGO enthusiasts of all ages. This stunning hardcover book features custom models of sleek starships, cool robots, creepy aliens, fearsome space pirates, and much more. The latest from No Starch Press (publisher of such best sellers as Beautiful LEGO and The LEGO Adventure Book) takes readers on a fantastic voyage from Sputnik to a spacefaring civilization hundreds of years in the future. 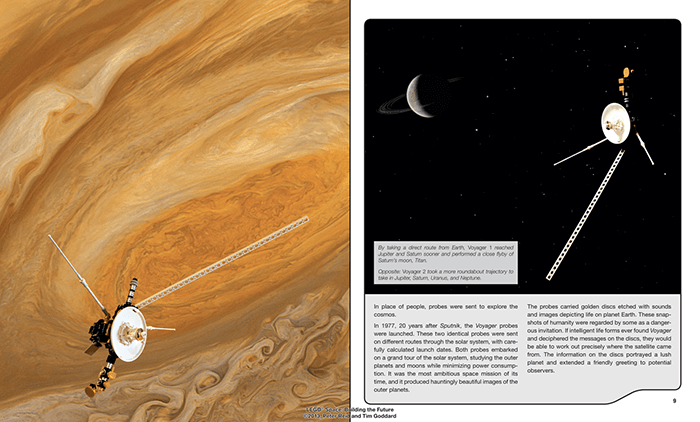 Readers will immerse themselves in photos of planets, hangars, spaceports, and moon bases as they experience a story of exploration, first contact, and sabotage. A selection of step-by-step building instructions lets readers build their own cosmic creations at home. 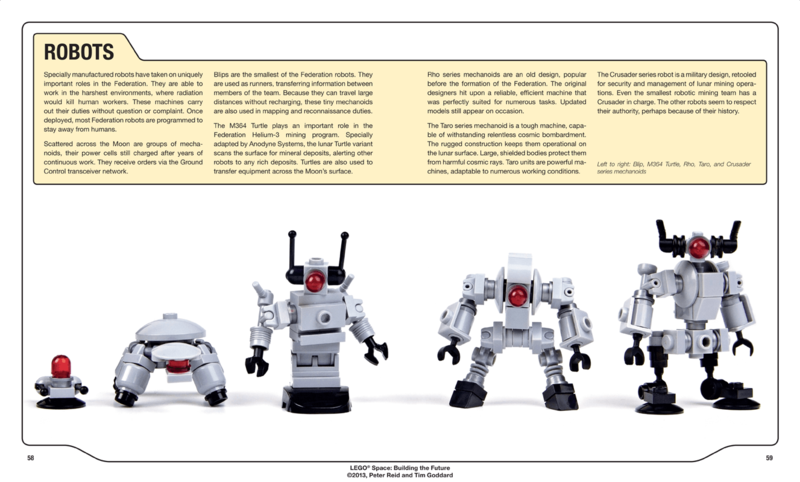 And in 2014 the LEGO Group will produce Peter Reid's incredible Exo Suit, featured in this book, as LEGO CUUSOO set #006—only the sixth fan-created model ever produced in the company's history. 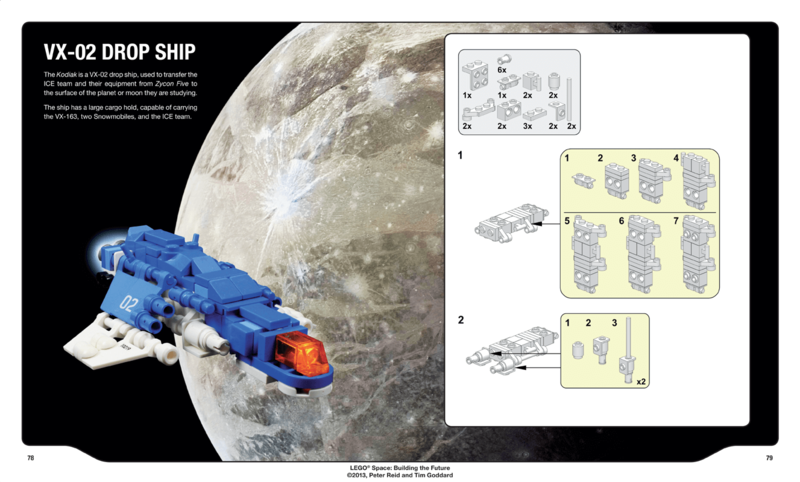 In the meantime, readers can enjoy Reid and Goddard’s incredible world in LEGO Space. 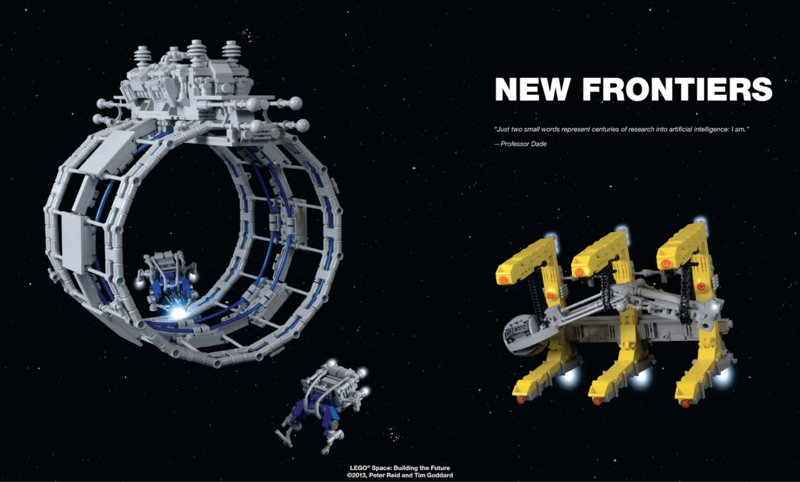 LEGO Space will be appearing in bookstores everywhere in November 2013. For more information or to request a review copy of LEGO Space, contact KC Crowell at No Starch Press ([email protected], +1.415.863.9900 x100 or visit www.nostarch.com). "Nothing could be more awesome." "One small brick for man, one giant brick for mankind"
"LEGO, is there nothing it can't do? A bricky final frontier." "LEGO and space, a match made in heaven." "So great. Clearly a labor of love." "I can totally see a Ripley minifig battling a xenomorph in one of these bad boys." "It's easy to imagine it working in a shuttle bay, a team of them constructing a space station, or engaged in an epic mecha battle." Peter Reid has been a fan of LEGO since childhood. He is a contributor to The LEGO Play Book, his work appeared in The LEGO Book, and he has attended design workshops with the LEGO Group in Billund. His incredible LEGO Exo Suit, featured in this book, has been chosen by LEGO for mass production in 2014, as LEGO CUUSOO #006, Exo Suit. He lives near London with his fiancée, Yvonne. Tim Goddard is a contributor to the New York Times best-selling The LEGO Ideas Book and The LEGO Play Book. He has also participated in product development with the LEGO Group. He works as a laboratory manager and lives with his wife, Sharon, in the UK. November 2013, 4C, 216 pp.